Tonight was a night of revelation! 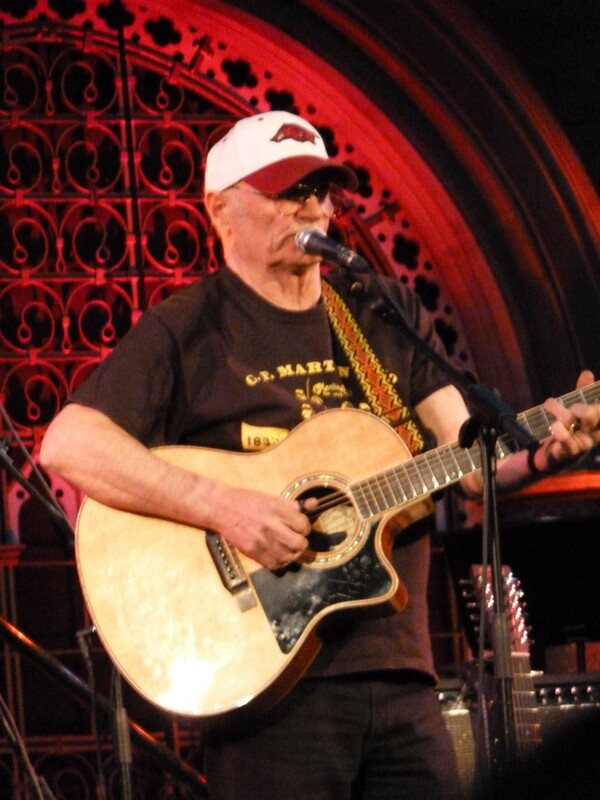 It was the night I found out about Michael Chapman. Boy, what have I been missing out all this time! 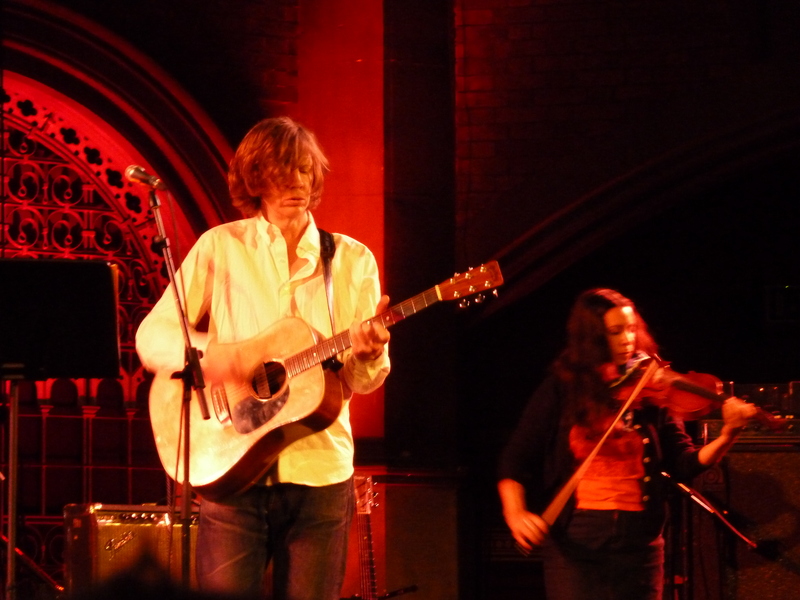 Supporting Thurston Moore, he strolled onto the stage with his guitar unceremoniously, plugged in and played. 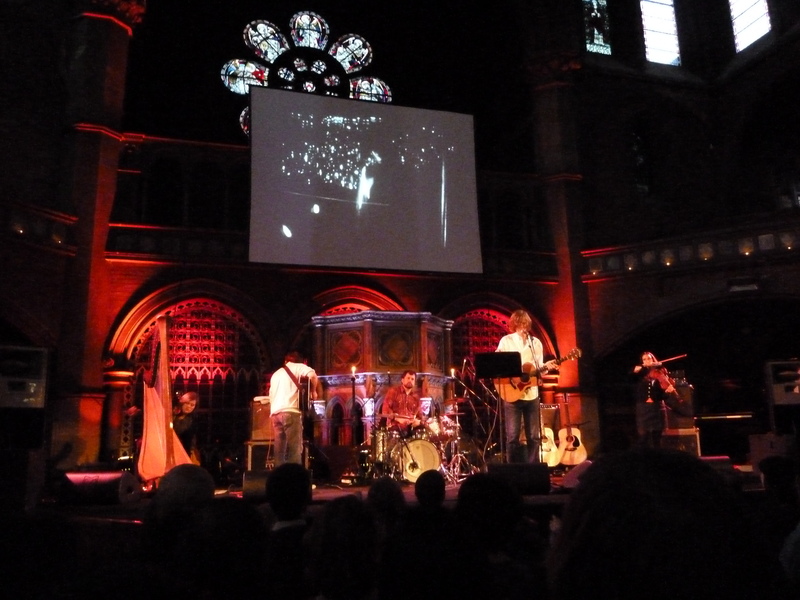 He is one of the best acoustic players I’ve seen and the sound of his guitar, his voice in Union Chapel was quite an experience. The highlight being Fahey’s Flag- about a dinner that went wrong at John Fahey’s place. With his similar brand of folk and fantastic playing, its no wonder Fahey counted him as a friend! Thurston Moore came on around 9pm, with his band consisting of 2 guitars, violinist, harpist, and drums. He started off his set with Benediction (possibly the prettiest song he’s written recently, from his latest album Demolished Thoughts), before playing the other songs from the album. The band put in a great performance, especially during ‘noise’ parts in Circulation, but disappointingly, Thurston’s voice sounded muddy in the mix at times. After playing the songs from Demolished Thoughts. He played Fri/end, before ending the show with Psychic Hearts, joking beforehand, that they had actually wanted to do a cover of Nirvana’s Dive! Highlights: Benediction, Blood Never Lies, Circulation and Psychic Hearts. All in all a special night in a special venue.